And now corrected! Thanks Rob. 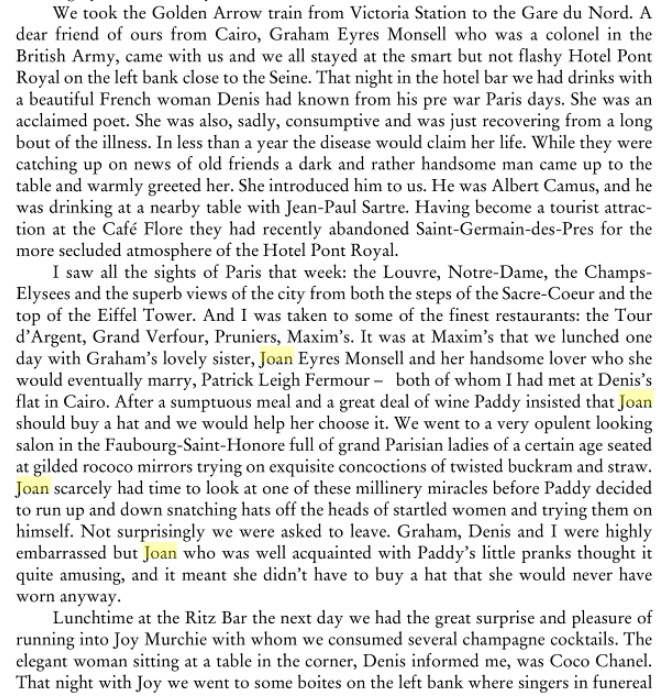 It’s funny how Paddy turns up unexpectedly in obscure anecdotes , journals , books etc. I recall reading a biography of the painter Francis Bacon , written by Daniel Farson , called “The Gilded , Gutter Life of Francis Bacon” and Paddy’s name is mentioned in passing as he was using a toilet area in which the author had met him in. Farson mentions to Bacon Paddy’s books and the great painter goes on to speculate absurdly on Paddy’s sexuality. As was often the case Bacon got it wrong. Funny how far reaching Paddy was in his social circles.